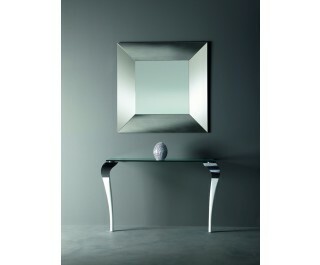 Console with tempered crystal top (thickness mm. 12). Legs in (chrome-plated or aluminum finish) metal and wood (available in light cherry, cherry, wengè and white or black lacquered finishes).